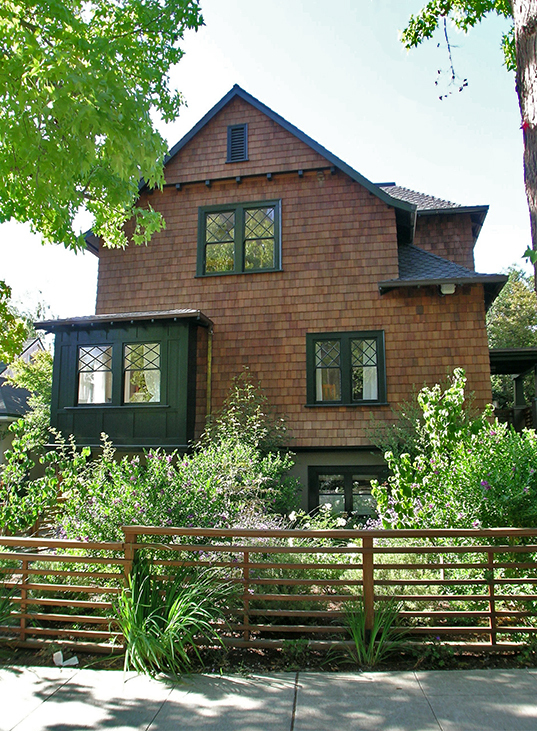 In May 2015, Jarvis Architects won a Preservation Award from the Berkeley Architectural Heritage Association for our work on the William Bunker House in Berkeley. 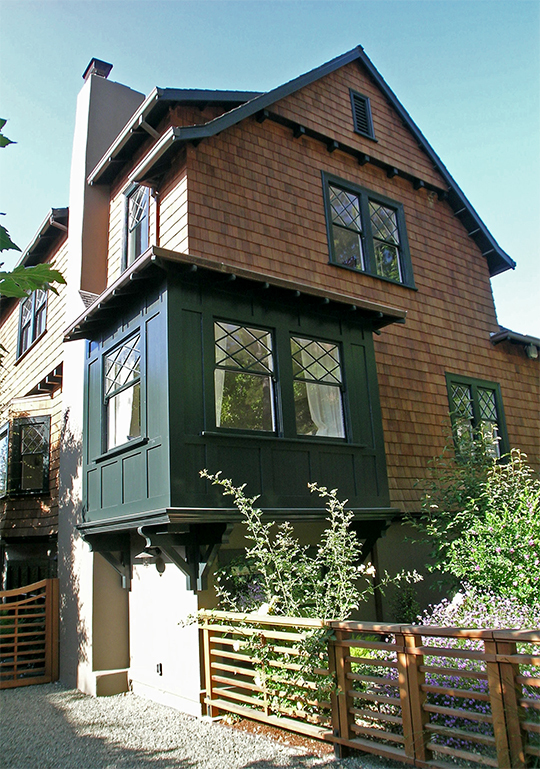 The Claremont home, located on Parkside Drive, was noted at the awards ceremony for its exemplary exterior renovation. Architects Robin Pennell and Lisa Trujillo collaborated with contractor Columba Duffy and the homeowners to cast this Craftsman bungalow in a contemporary light. The remodel, restoration and addition kept all of the old and wonderful aspects of the home–such as its original diamond double hung windows–while dispensing with many timeworn formalities–such as the matrix of closed rooms and narrow hallways that comprised its floor plan. Light-filled and open, the updated home provides the family with an integrated floor plan, allowing for fluid relationships between different spaces. Ultimately, the home feels more ‘original’ and traditional than it has in almost a century, and most authentic to its inhabitants.